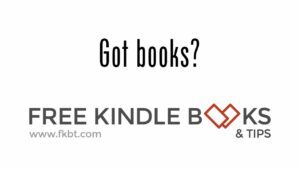 I’m a member of Kindle Unlimited and I certainly get more than $9.99 per month of books to read: since my family reads a lot, also, we’re really saving a lot of money each month. After paying the $9.99 per month, I actually signed up for a multi-year plan where, if you pay in advance, the average monthly cost is less than the $9.99 per month. You can check it out yourself if you click here or type in http://smarturl.it/kindleunlimited into your web browser. I love Kindle Unlimited. I have my books enrolled and get quite a bit of royalty from it. Since I also read a lot, I’m a member and really enjoy reading all those free books. And some of my favorite authors (traditionally published and indies) have some of their books enrolled. All in all a good program for me personally. yes i would like to cancel my subscription and haven’t been able to find any way to do this. You can contact Amazon’s customer service group to cancel your Kindle Unlimited subscription.